Map - Live. Travel. Play. We started driving from Calgary, Alberta, Canada on December 31, 2014. Our final destination: Ushuaia, Argentina, South America. 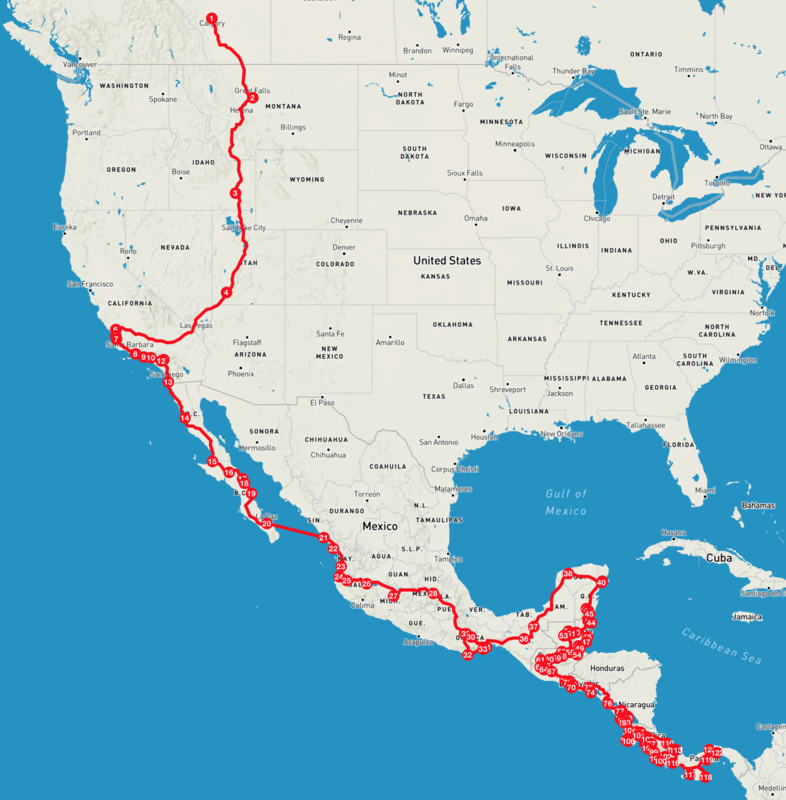 In 10 months and 20 days we drove almost 20,000 kilometers to Panama City, Panama. In mid-November, 2015, we loaded our van ‘Lucky’ into a shipping container and flew from Panama City to Cartagena, Colombia. 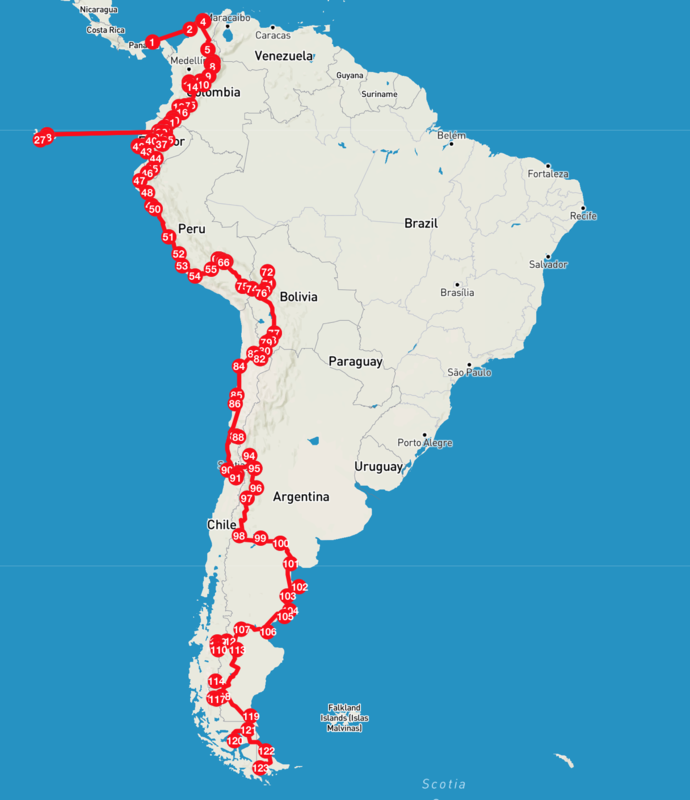 After reuniting with Lucky in Cartagena, we began the South American leg of our overlanding adventure. After 681 days, 43850 km (27250 mi), and $6755 CAD ($5240 USD) in gas, we made it to Ushuaia!